Released on the Paperback Writer single, Rain is considered by many Beatles fans to be their finest b-side. Much like Revolver's I'm Only Sleeping, Rain found The Beatles exploring LSD-influenced feelings of detachment from the real world, and the belief that heightened consciousness can be found within the self. The song is generally credited to John Lennon, although Paul McCartney claimed it was co-written. I don't think he brought the original idea, just when we sat down to write, he kicked it off. Songs have traditionally treated rain as a bad thing and what we got on to was that it's no bad thing. There's no greater feeling than the rain dripping down your back. The most interesting thing about it wasn't the writing, which was tilted 70-30 to John, but the recording of it. The Beatles had discovered during the Tomorrow Never Knows sessions that slowing down the speed of their recordings revealed hidden depths. They recorded the rhythm track of Rain at a fast tempo, then slowed the tape down so the song was a tone lower. The Beatles played the rhythm track really fast so that when the tape was played back at normal speed everything would be so much slower, changing the texture. If we'd recorded it at normal speed and then had to slow the tape down whenever we wanted to hear a playback it would have been much more work. Ringo Starr's drums, locked in to McCartney's high bass notes, were a key feature of the song. The drums became a giant drum kit... We got a big, ponderous, thunderous backing and then we worked on top of that as normal, so that it didn't sound like a slowed-down thing, it just had a big ominous noise to it. It was nice, I really enjoyed that one. Ringo Starr later said Rain was among his favourite performances on a Beatles recording. "I feel as though that was someone else playing – I was possessed!" I think I just played amazing. I was into the snare and the hi-hat. I think it was the first time I used this trick of starting a break by hitting the hi-hat first instead of going directly to a drum off the hi-hat. The other key feature of Rain was John Lennon's backwards vocals, heard during the coda at the song's end. Lennon claimed that the discovery was the result of a stoned accident, when he threaded his rough mix tape of the song into his reel-to-reel player the wrong way round. I got home from the studio and I was stoned out of my mind on marijuana and, as I usually do, I listened to what I'd recorded that day. Somehow I got it on backwards and I sat there, transfixed, with the earphones on, with a big hash joint. I ran in the next day and said, 'I know what to do with it, I know... Listen to this!' So I made them all play it backwards. The fade is me actually singing backwards with the gutars going backwards. [Singing backwards] Sharethsmnowthsmeaness... [Laughter] That one was the gift of God, of Ja, actually, the god of marijuana, right? So Ja gave me that one. Lennon's version of events was backed up by George Harrison and Geoff Emerick. George Martin, meanwhile, recalled the discovery as being his. I was always playing around with tapes and I thought it might be fun to do something extra with John's voice. So I lifted a bit of his main vocal off the four-track, put it onto another spool, turned it around and then slid it back and forth until it fitted. John was out at the time but when he came back he was amazed. Again, it was backwards forever after that. The Beatles recorded Rain over two sessions. On 14 April 1966, the same day Paul McCartney taped his bass part for Paperback Writer, the group taped five takes of Rain's rhythm track, performed quickly and later slowed down. They finished the song on 16 April, adding overdubs including tambourine, bass and extra vocals. 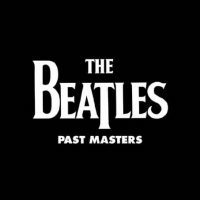 It is likely that the backwards vocals were added on this day, when they also carried out the mono mixes that appeared on the Paperback Writer single. The most underrated Beatles song. Should have been another double a-side. Paperback Writer is a pretty awesome song. Rain is a song with an interesting sound but it’s not a great melodically flowing pop song. Rain is a Bside. I agree. Outside of Beatle fanatics (like us) it’s not a well known song at all – even to those who were around at the time. To me, it’s a much more interesting RECORDING / PERFORMANCE than it is an interesting song (as are quite a few Lennon compositions). Rain should have been on a Rubber Soul/Revolver double album. One of my favorite songs, ever. Rain is definitely a great song, and especially the vocals sound beautiful, either played backwards or reversed to play forwards. John seemed to be a creative genius, but then we hear that others did significant amounts of the work. So I don’t know what to believe. I know that Paul was a workaholic, so he would regularly visit John’s place to write. Maybe a lot of those shared songs would have been John-only songs if Paul had not dropped by so often.